June 14, 2018 – Complete DKI, a member company of DKI, North America’s largest disaster restoration contracting organization, announced they will be distributing 25 care packages to the military recruits who recently completed boot camp and are stationed at the Naval Air Station Pensacola. “Pensacola has a lot of troops just out of boot camp, and these packages will go to them. We wanted to show them that Pensacola loves our military and we support them,” said Ashlee Carpentier, vice president of Complete DKI. Complete DKI began performing monthly acts of kindness to honor their local troops in April. A large part of their company is former military or a spouse of a current member of the armed forces. Each Friday, the team dons red polos to represent R.E.D. : “Remember Everyone Deployed.” They have also sent hand-written thank you letters and toiletries to the troops. 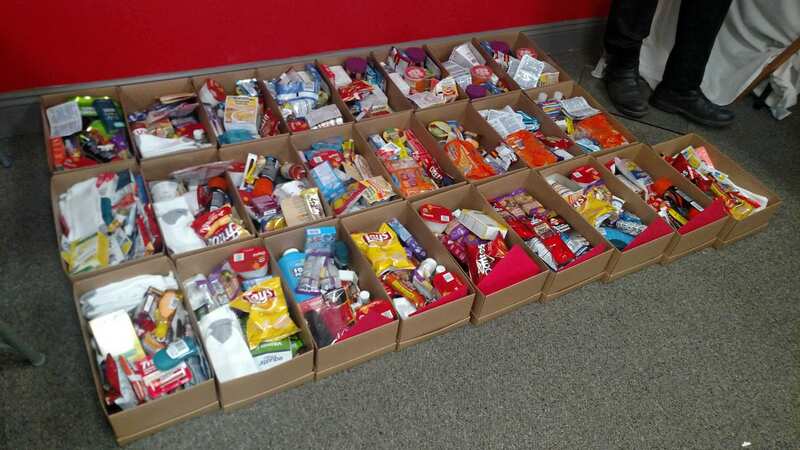 This month’s care packages are made up of donated items from the staff of Complete DKI and their communities. The packages include toiletries, snacks, socks, first aid items and letters of encouragement. Each new recruit at Pensacola will receive a package to welcome and thank them, and an extra 60 packages will be donated to Operation Gratitude to be delivered to other U.S. troops, veterans and military families. Complete DKI is a full-service mitigation and reconstruction firm. They have three full service offices in Pensacola, Mobile and Tallahassee. Their team is made up of 45 dedicated professionals who specialize in water, fire and mold mitigation and reconstruction. Available 24 hours a day, 365 days a year using the most up-to-date technologies and quality professionals with superior skills and certifications, their customers count on Complete DKI when things appear at their worst. For more information, please call 850-225-5354 or visit www.completedki.com.